THEATER DISTRICT HOUSTON is an impressive cultural and entertainment center. The district features nine world renowned performing arts organizations, and many smaller ones, in four venues – Jones Hall, Wortham Theater Center, Alley Theatre and Hobby Center for the Performing Arts. You’ll also find Bayou Place just around the corner which includes Sundance Cinemas, Bayou Music Center, Hardrock Cafe and a variety of other restaurants. Family-favorite, Landry’s Downtown Aquarium, is also located within a few blocks of each of the major theaters. 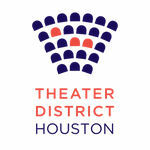 Theater District Open House is an annual event that marks the kick-off of the Fall performing arts season in Houston.